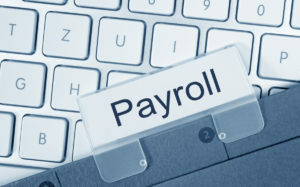 A report from Price Waterhouse stated that businesses maintaining in-house payroll associated jobs spend 18% more than the average spending of businesses who hire outsourced payroll services. Similarly, businesses that use cloud-based payroll outsourcing tend to spend 32% higher than who don’t use it. 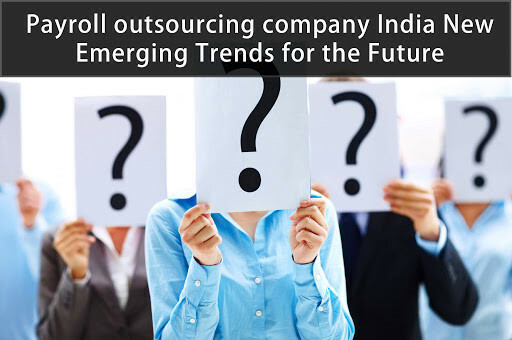 All this has resulted in fostering an ecosystem in India to create a world-class global hub for payroll outsourcing. More and more SMEs are entering into this industry to implement outsourced payroll, and with technological advancements, payroll outsourcing companies in India are emerging with cost-effective payroll software to meet the client needs. With the promise to simplify and accelerate the jobs of payroll and administrative managers, so that they and the organization can keep their focus on their core business competencies, Payroll outsourcing companies in India are themselves getting organized and professional in their approaches and initiatives. Following are the positive trends forecasted which they will embrace in 2018. To satisfy the demands of the sector, payroll outsourcing companies in India will extensively be employing the Cloud computing. Access and incorporation of multiple users into a single account in Cloud-based payroll systems. Also, it permits the businesses to scale with their employee, be it reduction or increase. The access is not just limited to PC but extended to smartphones as well. It has been realized by businesses that the cost of payroll per payslip, if in-house, is around 75%. It is 25% if the same is outsourced. In addition, faster turnaround time, permanent assistance for the life-cycle of an employee, payroll process streamlining, cost reduction in IT infrastructure, safety, accuracy, saves time and money are many other advantages payroll outsourcing can provide. Payroll outsourcing companies in India will receive increased investment as HR functions, by employing payroll outsourcing, can re-focus and realign their HR budgets on skill development, training and PLIs.
. Hence, the probability of better experience, service, and competitive pricing will benefit the Indian businesses in 2018. Payroll outsourcing will be seen as the best option to integrate human resource, finance, and online banking seamlessly. Hence more and more corporate houses will employ it to streamline the HR systems, accounting software, and online banking methods. Payroll outsourcing companies in India will not just help employers; they will also engage employees by creating personalized employee accounts to review their critical information and data related to tax liabilities and other financial details. Therefore, hiring outsource payroll companies business HRs will give their employees automated accurate financial information and in turn get a motivated and engaged employee. Apart from providing right information payroll services will efficiently integrate changes in taxation, which are becoming complex day-by-day. Hence, HR will hire payroll services so that they can just focus on the organizational business objectives without being distracted by the complication of changing regulatory environment. The Year 2018 will also witness reduced cost of outsourcing payroll systems as the cost of technology, like cloud-computing, will reduce. The continuous feedback from customers, business houses, and individual employees will keep payroll outsourcing companies in India to better them and become well-organized. Business houses, SMEs, and corporate sector will benefit from all the above trends as they become available. HR function and payroll outsource companies in India will get attracted by these trends and will benefit each other.